The Midnight Apothocary, one of the hits of 2012, has announced it's summer season for 2013. This year they'll be open every Saturday and Sunday, with Lottie Muir's cocktails all weekend, and food from The Foragers on Sunday. Plus, there's an opera on the first Saturday! "Lovers of wild cocktails, campfires, flowers, riverside sunsets, pop-up opera and foraged feasts – you may have found Nirvana, right in the heart of London. 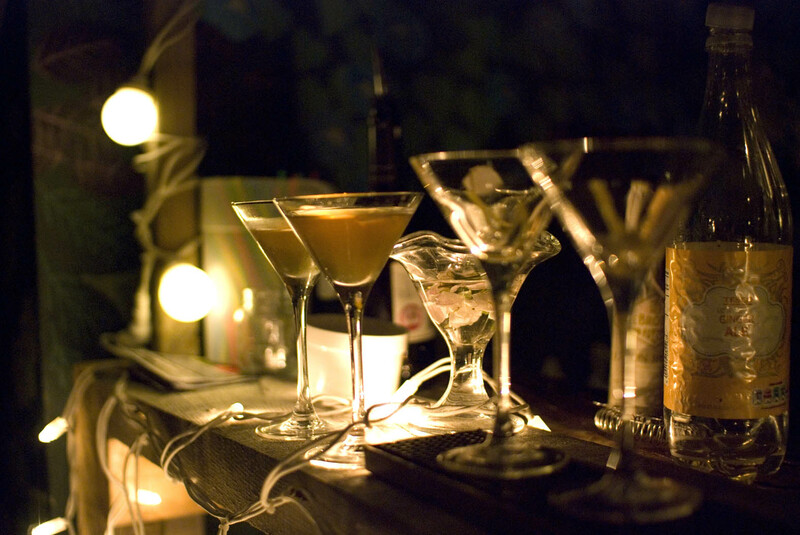 Midnight Apothecary, the legendary rooftop garden pop-up cocktail bar at the Brunel Museum in Rotherhithe SE16 is returning for another season of magical Saturday nights, starting Saturday 20 April, 5.30pm - 11pm. And for the first time, Sunday afternoons too…and joined by some special guests. Hailed as “the hottest pop-up cocktail bar in town” last summer, Midnight Apothecary has invited wild gourmet chefs The Foragers (of Dead Dolls Club fame) to serve up wild food alongside their wild cocktails on Saturday nights and Sunday afternoons. Set up by chefs George Fredenham and Gerald Waldeck who run the Verulam Arms in St Albans, The Foragers is a dining concept which aims “to inspire a movement of respectful and tasteful foraging”. To coincide with the launch of Midnight Apothecary there will be pop-up opera in the underground Thames Tunnel Shaft from Pop-up Opera who are bringing their production of Gaetano Donizetti’s L’elisir d’amore (The Elixir of Love) to Brunel's Thames Tunnel Shaft at 3pm on 20 April (you can catch a taster video here: http://bit.ly/ZWdFqa and book tickets here: http://popupoperabrunelelisir.eventbrite.co.uk). AND the museum will also be celebrating the 170th anniversary of Brunel's Thames Tunnel with optional guided descents of the underground Grand Entrance Hall. So it will be quite a day and night in the beautiful riverside setting of the Brunel Museum. And only one minute's walk from Rotherhithe Overground station. Here’s to stoking up the fire, lighting the flares and enjoying some magical nights in the garden."